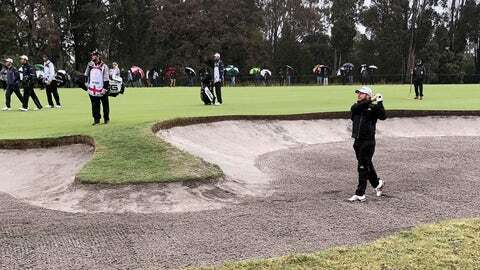 MELBOURNE, Australia (AP) — A pair of twenty-somethings named Thomas has Belgium on the cusp of its first victory in the World Cup of Golf. Thomas Pieters and Thomas Detry had a mid-round stretch of 5-under-par in four holes for a 9-under 63 Saturday to give Belgium a five-stroke lead after three rounds. Pieters, 26, and the 25-year-old Detry, who both play on the European Tour, started the day level with South Korea after a steady 71 in terrible rainy conditions in the foursomes (alternate shot) format of Friday. “We combined pretty well in the first foursomes, hopefully we can do the same on Sunday,” said Pieters. “It was tough, but Renato did great and we bounced back,” Pavan said. South Korea’s Byeong Hun An and Si Woo Kim shot 68.